Kids and toddlers just love tablets. Looking at photos, playing games, watching videos, taking close up pictures of their nose. They just can’t get enough of them! So should you get them a tablet of their own? And if so which one would be best for your child? Or are they harmful to young children and best avoided? 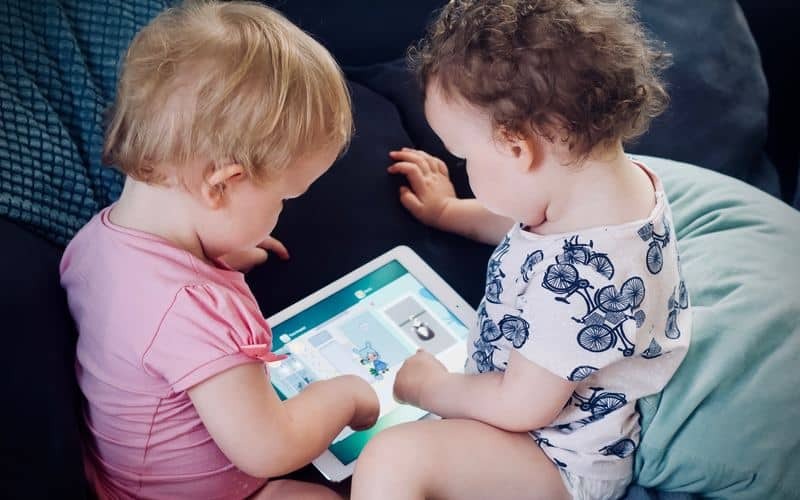 In this post, we look at the research into tablet use at a young age and present our guide to what we think is the best tablet for toddlers and young kids in 2019. 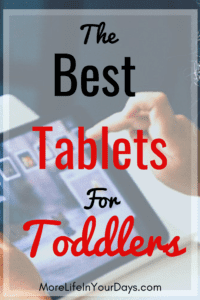 Don’t worry if your child is a bit older, these are the best tablets for kids of all ages whether they are toddlers, preschoolers or a bit older, they are sure to love these great tablets. 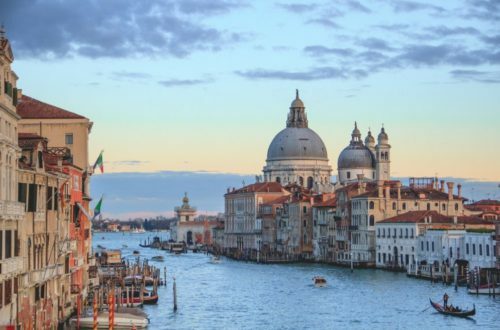 This post is one of our travel gear reviews. 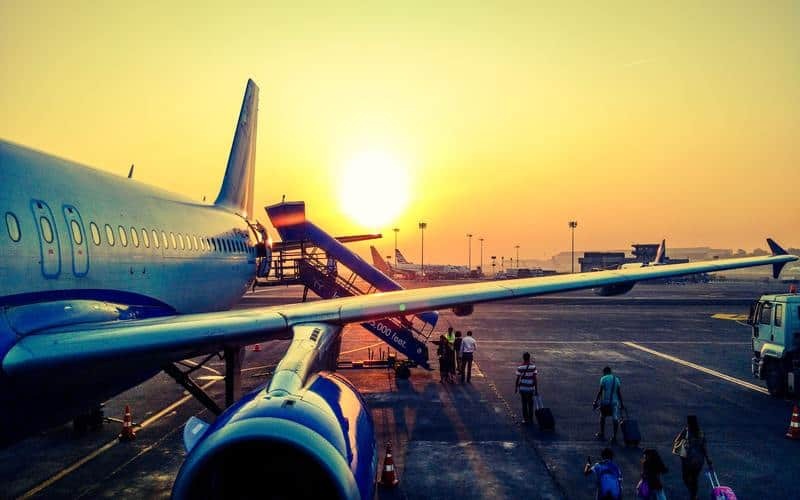 We aim to help you find the right product to make your travels go that bit smoother. Should You Get a Tablet for Your Child? Tablets and smartphones are an important part of the world we live in and children will naturally be curious to use them, particularly if they have older siblings. 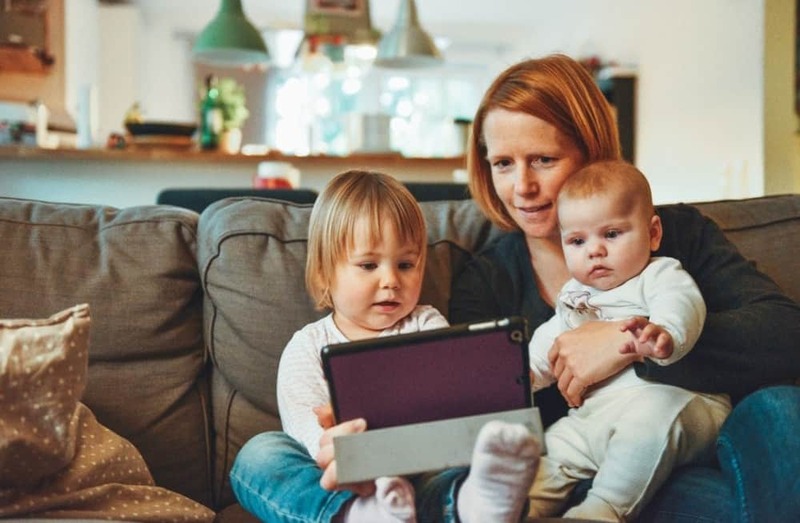 It is interesting to note that research in the UK has shown that of families which own a tablet, a third of children under 5 have their own device. 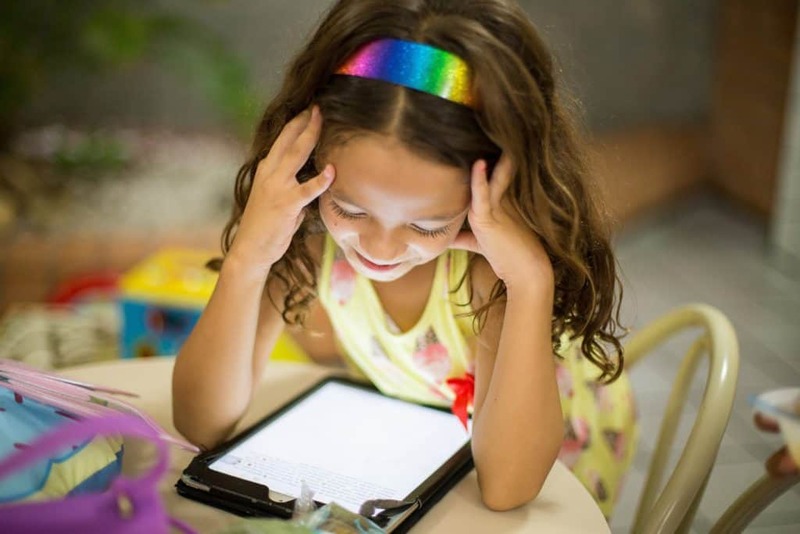 Whilst people often have concerns about screen time, when managed properly tablets can be an important source of learning as well as entertainment. Age-appropriate apps can help to foster a wide range of play and creativity. We feel that tablets really come into their own when you are travelling. 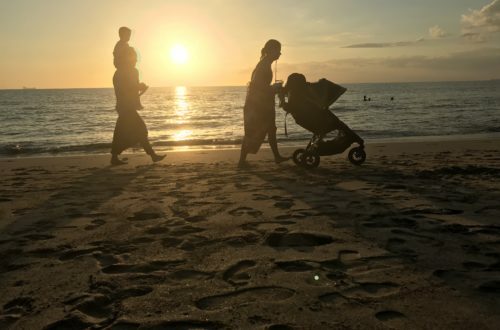 Whether it is when waiting for a plane, in a restaurant, or just some quiet time at the end of a busy day, there are always times when having some portable entertainment for your toddler is a life saver. The BBC has published a great article about introducing a tablet to a young child, this is based on work with the Tech and Play research group. Get one when you feel it is the right time for your child. There is no right or wrong answer to when to introduce a tablet to your child. Use the tablet alongside your child to help them to understand how to use it and what it can do. Media use alongside an adult is more beneficial than independent media use in the early years. Choose appropriate apps for your child. There are so many apps aimed at babies and toddler that it can be hard to know where to start. Be sure to check the apps before using them with your child. Link tablet play with real play, e.g. connect with the real world by taking photographs when out and about, or take photos at stages during the construction of a lego/block tower and look back on it later. This buying guide covers what we consider to be proper tablets that will allow you to download apps and games, watch videos, take photos and all the other things that you expect from a tablet and that kids love to do. We hope that once you have read it you will have a good idea of what is the best tablet for a toddler (and older kids). There are toddler specific products from companies like VTech, they may introduce your child to the concept of a tablet but they don’t really provide the tablet experience that we are looking for in this post. Size: Not too big for small hands, or larger so that you can watch cartoons better. You decide. Screen Resolution: A higher resolution will give you a sharper picture. Storage Memory: A higher GB of memory will mean that the tablet has more space to download apps and store photos, music and videos etc. RAM: Higher RAM will mean that the tablet is better able to cope with multiple tasks and will increase the speed of the tablet. Robustness: We all know that even the best-behaved toddlers have been known to drop and throw things at times so a robust tablet is essential. This is often achieved through the use of a snuggly fitting silicon case. Kid Friendly: Child-specific safety mode to restrict inappropriate content. Content: How much content is available, how easy is it to access and how much does it cost. The Kindle Fire HD10 is the largest of the Amazon Kindle Fire tablets and has the best specifications. We think that it is one of the best kid-friendly tablets, and a great option when choosing a tablet for a toddler. Best of all is the 2-year guarantee that covers any accidental damage. This is an awesome offer from Amazon considering that these are marketed as tablets for kids and surely makes this the most durable tablet for toddlers. The display is full HD (224 pixels per inch) so will provide you with a crisp picture whether playing games or watching a movie, and 32GB will provide plenty of space to download your favourite content. In terms of processor speed, you get a healthy Quad-core up to 1.8 GHz with 2 GB of RAM. As with the smaller Kindle Fire tablets, the HD 10 has expandable memory. The Kindle Fire HD 10 claims a maximum battery life of 10 hours (in our experience you are likely to get a bit less than this but still a decent amount). This is a full-sized tablet and you may want to consider whether this is too large for your toddler to hold. Our daughter generally puts it on her lap or on a table so it isn’t really an issue but it is worth considering whether one of the smaller models would be better for your child. Amazon has a range of fire for kids tablets specifically aimed at children and we feel that these are all great options when choosing a tablet for a toddler or pre-school kid. It makes it one of the best tablets to learn on, as well as providing hours of entertainment. They all come with a case to keep the tablet safe and a fantastic 2-year no-quibble guarantee should there be any little accidents. On top of this, they are packed with kid’s specific content with Amazon FreeTime Unlimited (Fire for Kids Unlimited in the UK). You get this free for a year with the purchase of the tablet and this gives you access to 15,000 popular apps and games, books, videos and educational content. This subscription will automatically renew at the end of the year so be sure to cancel if you find that you aren’t using it. One of the great features of the Amazon tablets is the extensive parental controls that allow you to manage usage limits, content access, and educational goals. The parental control software can all be managed through your child’s device, or remotely from the Amazon Parent Dashboard. The dashboard even provides discussion cards to help encourage conversations between you and your child based upon the apps that they have been using. You do not need to worry about your toddler accidentally seeing something that they shouldn’t as the tablets all come with a kid-safe browser that will screen out inappropriate content when they are browsing the internet. You should get a few years use out of the tablet and the content is designed to grow with your child with smart filters that can ensure that only age-appropriate material is available as they grow you can hide the baby stuff and open access to the slightly scarier stuff. There is one feature of the Kindle Fire tablets that may not be quite so welcome. They run on Amazon’s own Fire OS rather than Apple iOS or Google Android that you are likely to be more familiar with. You still get a decent choice of apps but you only get YouTube of the flagship Google apps and overall there is far less choice than with an Apple or Android device and they are geared towards tying you into the Amazon ecosystem. For more details on the Kindle Fire HD10 please click here. The Samsung Galaxy Tab E Lite Kids Edition is one of the few dedicated kids tablets that run on the Android operating system. In my opinion, this is an advantage over the Amazon tablets as it creates a far less restrictive user experience. This tablet comes with the Samsung kids app pre-loaded so it is ready to after just a couple of minutes set up form the parent. This is more than just a kids’ mode app and functions more like a locked down launcher that comes with loads of kid-focused entertainment available on subscription. It is also one of the best educational tablets for kids. All of the apps in the ‘Samsung Kids’ library have been selected for kids from 2 years old to 8 years old and have been tested and checked by Samsung, to ensure that they have no ads, no in-app purchases, and no questionable content. So there is no need for you to worry about what they might be downloading. All of the apps are presented in a catalogue format, and the kids themselves can download and install the apps themselves, straight from the launcher. This is such an awesome feature. A standard Android tablet running with a kid’s mode will need you to install the apps yourself or supervise your child doing it, but with this one you can simply do the initial set up and hand it over to them and let them explore a world of apps that will keep them happy, entertained, and learning, safe in the knowledge that they cannot access anything you wouldn’t want them to. Side note – if you think that a pre-school child won’t be able to figure this out on their own then you need to think again! But, as we said above it is best to try and get into the habit of using the tablet with your little one rather than leaving them alone with it all the time. You get 3 months of Samsung Kids for free, after this, it is either $7.99 each month or $59.99 for a year. If you are thinking that this all sounds a bit too restrictive, don’t worry, you can access the full Google Play store using the parental controls. When setting it up you can also use the parental controls to implement time restrictions or limit the categories of apps that are available. The battery life is a decent 9 hours, memory is easily expandable using a micro SD card and you get a nice silicon case to keep the whole thing protected. All in all, this is a very tempting choice for a first toddler tablet for a 2 – year-old, 3-year old or 4-year-old. It has a great kids mode that means your young child will only access safe content (and won’t rack up any expenses with in-game purchases), but it also allows access to the whole world of free and cheap apps that are available on the Google play store so is far less restrictive than the slightly cheaper Amazon Fire tablets. For more details on the Samsung Galaxy Tab E Lite kids edition, please click here. The Kindle Fire HD 8 tablet has a smaller 8-inch screen and is overall a slightly less powerful machine than the HD10 above but is is still one of the best tablets for little kids. It has a slightly lower resolution (189ppi), a slower processor and less RAM (Quad-core 1.3 GHz with 1.5 GB of RAM), but otherwise retains all the great features of its bigger brother. The tech specs should be more than sufficient for the needs of a toddler so we do not feel that should unduly sway your decision. The key difference with the 10-inch version is simply its size, the 8 inch may be slightly easier for small hands to hold, whilst the bigger screen on the Fire HD 10 makes it better for watching cartoons, videos etc. One advantage that the Fire HD 8 has is a longer battery life thanks to the smaller screen, Amazon claim this should be up to 12 hours of reading, surfing the web, watching video, and listening to music. For more details on the Kindle Fire HD 8 please click here. If you are looking for a tablet that doesn’t have the constraints of the Fire OS, the iPad 9.7 is a great option that is quite an affordable price for an Apple tablet. It has great performance and premium features that mean your little one has great scope to explore their creativity using the huge selection of kids apps on the App Store. One of our favourite features that set this apart from the other tablets on review is the ability to use the Apple pencil, this takes the tablet to another level as a portable drawing pad which never runs out of paper. We think that this is the best educational tablet to buy a toddler and is the best tablet for toddlers to watch movies thanks to the amazing screen. You get the slick Apple iOS, App Store and great processor speed, 32GB memory (not expandable), great camera, good battery life and the beautiful retina display 264ppi. The iPad boasts a great 12-hour battery life. If you use iPads/iPhones yourself you will be familiar with how it works and this will mean that you are better able to help your little one use it. To turn this into a true toddler tablet you will need to get a robust case to ensure that it is this less vulnerable to being dropped and enable the kid’s mode. Once you have done this you are looking at one of the best tablets for kids. Parental controls are included as part of the operating system but will need to be turned on (unlike on the Amazon tablets). It is pretty simple and the video below will walk you through the steps that you need to take. For more details on the iPad 9.7 please click here. The Dragon Touch K8 kids tablet is a great affordable tablet for kids and is worthy of serious consideration if you are looking for a cheap toddler tablet. The tablet comes pre-installed with Kidoz, a child-friendly interface that makes it a great android tablet for kids. Your preschooler can access loads of fun and educational games, videos and websites without any risk of them coming across anything inappropriate. Advanced parental controls include timer settings and content control features. You can control what content they can see and restrict access to the device data and settings. It also personalizes content recommendations to suit the interests of your child. One of the unique features of this tablet is the specially designed tablet case which incorporates a stand and stylus. This combination is great as it gives your child the opportunity to draw and write on the tablet without having to hold it. It is also perfect for watching their favourite shows and movies. One of the things that we like about this tablet is that it runs on the Android operating system. This means that you can access the Google Play store for all the entertainment and educational apps you could ever need. We think that the Dragon Touch K8 makes for a great option for anyone that would prefer an Android tablet to an Amazon tablet. The parental controls are great, the screen is really good quality and it even comes pre-loaded with 20 Disney storybooks and 4 Disney audiobooks. The smallest and cheapest Amazon kids tablet, the Kindle Fire 7 still comes with the great no quibble accidental damage guarantee, silicon case, kid’s operating system and kids content for a very low price. If you can get this reduced on Black Friday or one of the other sales they do throughout the year it really is a cheap toddler tablet. As the smallest in the range, it could be well suited to small hands. The lower price is due to the lower specs and you do get less RAM and less memory on this tablet. It remains a capable tablet and is worthy of consideration but we feel that it doesn’t quite live up to the two larger tablets. Given the small price difference to the Fire HD8, you might want to consider going for that over this one. It should last you longer as the better internals will stand up better to OS upgrades and increasingly memory hungry apps. For more details on the Kindle Fire 7 please click here. We hope that you have enjoyed reading our guide to the best tablets for toddlers in 2019. We understand that buying a tablet for a toddler can be a difficult choice and fraught with parenting guilt over whether you should be shielding your little one from technology like this. Our feeling is that the technology is there and they will see you on your phone/tablet and be interested to investigate these intriguing devices for themselves. Having said this, we don’t like to see our daughters using them too much, and we generally aim to encourage a better all-around development through mixing up their play time. Fortunately, our girls see their tablet as something that comes out at specific times like on long plane journeys or while we are away, rather than something that they are glued to at all times. Have you introduced a tablet to your little one? How has that gone? Do you agree with our top picks above? We would love to hear from you in the comments below. While it’s good for children to get accustomed to technology at an early age I can’t help but wonder if it could harm there health at such an early age? What would you say an ideal age is? I would also suggest that a robust and durable tablet would be a better choice for younger children as they will not understand the concept of how much a tablet costs. It is early days for tablets but the reseach quoted in the BBC article suggests that there is no harm caused by using tablets, and that used in th eright way there are many benefits to the child. The right age probably depends on the child by we bought one for our daughter at 3 and that has worked well. We want her to have varied interests so it’s not something that is used everyday, but definitely has its uses, and we are happy her for use it in moderation. Thanks, You are right it can be hard to stop young chidren from wanting to use your own tablet. Letting them have their own, robust and safe tablet is a great way to reduce this issue. What a thoughtful and practical article on toddler tablets. Most sites would just roll out the review of the best devices for children. But I enjoyed how you led with “how and when to introduce your child to a tablet”…that to me is the most important thing to start with. I must confess it use to bother me quite a bit to see really small children play with their parents phone or iPad in public. My thought was we already have a generation of people who have a hard time socializing with others without “a screen”. I’ve changed a bit on my old-fogy hard-stance recently…and now, I do believe there are some really good learning games and apps that are beneficial to a child’s development. As with all things…in moderation. That I think is the real challenge. You did an excellent job with the reviews by the way. I was unaware of the kids Kindles…so I’ll be sure to book mark your site for future use around the holidays. Thank you for you kind words, I am so glad that you enjoyed our review! You are right, moderation is key, I also hate to see kids that cant bare to be seperated from an ipad or phone but used right, they are fun, useful and educational bits of kit! I love this concept – a tablet for the little one to keep him/her occupied while you have a few chores to do! Although I am a huge fan of the Kindle options you provided, the I-pad 9.7 seems to be the best fit for my little one. I didn’t realize it had an Apple pencil, as that is an amazing option for a toddler should they want to start drawing- this way they don’t draw all over your wall! I also love how you mentioned to get a robust case, as a sturdy case is needed for those drops and throws that toddlers tend to do. The only con you have listed is price, but I think that it is within my budget as it could double as a family tablet should we need to use one for other uses. Great post! Thanks, I think that is a good choice. If it is in your budget the iPad 9.7 is a perfect tablet for little ones – the pencil is great for getting creative. I love that Amazon have gone all out to create a tablet designed for kids, and the warranty makes it a good and safe choice, but it isn’t quite in the same league as the iPad. I particularly liked the section on Introducing a Tablet to your Toddler, where the article addresses monitoring time usage and being used alongside an adult even though the appropriate apps have been downloaded. In too many instance the device is just handed to the child and this postshares some great advice for how to deal with this. Thanks, you have made a great choice with the Fire HD10. Your little one will really benefit from all the great content that you get through Fire for Kids Unlimited. You will also have peace of mind for yourself thanks to the no quibble guarantee. What a great article with valuable recommended tablets for toddlers. My daughter was only 2 years old when she started using tablet, mobile phone and laptop back then.. She is now turning 10 years old. I was surprised how children learn so fast with the digital products, They can support children’s learning process a long the way. Toddlers and preschoolers are also being introduced to the tablets at school very early. Thanks for the recommended products. We are expecting a baby so soon – so I’m sure I will be getting back to your recommendations as soon as my baby become ready to use a tablet. By the ways thanks for the video tips on how to make Ipad Kid-friendly – very useful also for my daughter. Yes, it is amazing how quickly children can pick these things up. It will be interesting to see how things progress in the future now we have a generation growing up who have been exposed to technology like this and the internet all their lives. I do realize that the world is changing and we have to adapt to these changes. I certainly don’t want my child to fall back on his/her learning curve and I think having kid-friendly tablets would be a good way to supplement for that. Christmas is coming and I am certainly looking to buy one and you’ve highlighted some important features for me to look into. Thanks for the tips. Thanks, I am glad that you fund my review helpful. The world is chnging fast,it is exciting to see what technology will be around in a few years! I agree that tables can be very useful for children so long as they are not used for too long at a time, and are not used as a substitute baby-sitter. I also agree that.as with most activities, children will get more out of it when they are using the tablet alongside their parents. One big advantage to getting your children used to using tablets at an early age, is that you can instil in them that there will always be strict time limits for their usage, and that is probably easier to do at an earlier age as younger children on the whole are less likely to argue with you, as it is much easier to distract them with something else!!! That is definitely not the case with older children! I very much prefer Apple products for many reasons, not least of which is the fact that should you have any problems with them you can almost always get those problems sorted out, usually free of charge, at the Apple Store. Very many thanks for your very helpful post. Thank you for sharing your thoughts on this post! I agree, overall it is hard to beat Apple products and the ipad we reviewed was fantastic! Great article, I have 2 kids and when you teach them orally, without a laptop, PC, phone or tablet, they don’t seem to understand anything fast. So I usually use to let them use my laptop. But I love my laptop that I fear they may break it, besides, these days I am using it all the time. So, loved the idea of Toddlers tablets. Thank you for the comprehensive review, all toddler tablets you listed are awesome, I have to admit. I will have to buy the iPad 9.7, I loved it because it has a bigger memory space plus 2 GB RAM means swift performance. I also love the iPad 9.7 because I am a big fan of iPhone products. Thanks, I agree that something visual can aid learning. My toddler is always asking questions about space , dinosaurs or animals so we often look up information and images on her tablet to get a good answer for her. I do think this topic is great. Especially with today’s growth in technology. My youngest son is 17th. When he started in middle school, the school was an Ipad-School. All the learning material and books was through their Ipad. So in between my two oldest sons and the youngest, there was already technology applied to classrooms. Since my little one was always following his big brothers and imitating them, he was quite good with games and computers, so by the time he went to his first Ipad classroom he had a wide understanding in technology and the transition was very easy for him. However, like you said children and teenagers needs parent supervision at all times and also to set an amount time that the child will be using the computer or games. I congratulate you on your topic. It is important to educate parents on how to deal with kids and technology. Thank you for your comment, it is great to get a perspective from someone with older children. Tablets are sure to be an important part of life and education going forward. It sounds like you had loads of fun when you were little! Tablets are great but the kinds of activities you mention are what our kids will remember so it is importnat to get the balance right! It is amazing how technology is making life easier and better everyday, even our children can benefit from this. I personally would buy the robust tablet, children tend to be… how can I say it? They destroy things very frequently. I consider that one of the benefits of giving them a tablet is that they get entertainment, and if your children are entertained is less stress for you! Less stress is good! I agree a robust case is important, all of the ones listed either come with a cood case, or you can get one separately. As someone who has been through this with young kids (and still going through it!) I’d like to offer my own experiences. We started out with Leap Pads for our boys, but they came with the very big con of having to continually purchase new and expensive games. We did not persist with these devices, even though our boys did enjoy them. So even though the cost of the device wasn’t huge, the cost of games certainly made up for it. We decided to then buy iPad minis. More expensive than other children’s tablets, but best decision ever. We downloaded many free and educational games and the boys never got bored with them. They had the added bonus that I could also use the iPad for my own stuff when I needed to. Far more versatile than the child specific tablet. And they lasted very well. We just recently bought the boys their own iPad Pros, with keyboards if they want them. That way, they can play games, but also do their homework. In my view, iPads are great for kids and they actually help them transition to using functional technology that can be used as they get older. We’ve kept one of the iPad minis, and given the other to the boys grandparents to use. Wins all around! Thank you so much for sharing your experiences. I did think long and hard about whether to include Leap Pads as that is what most people think of a a toddler tablet, but I just can’t see the benefits of them over a normal but toddler frindly tablet. It seems that from your experience the iPad is clearly a better option. It is also worth noting that iPads are being used in schools now so getting them used to one will help them out later on. Thanks again for your insight! I fully agree with your view that a tablet for a kid is not only a device for entertainment but it can be a very useful tool for the learning of various cognitive skills for the toddler provided you control the usage of the tablet. I wanted to buy the iPad 9.7 for a kid in my extended facility but it is too highly priced. Can you please recommend one which is of similar spec but lesser priced? Hi! If you are looking for a cheaper tablet the Amazon ones are the best option. The Fire HD10 is the closest in spec to the iPad but is fairly expensive (although quite a lot less than the iPad). The 7 or 8 inch Amazon Fire tablets are great if you are looking for a budget option. Thanks! I am glad you enjoyed the review. I think it’s all about balance, of course, kids play outside, enjoy the outdoors and interact with others. But I think that there is also a time and a place for technology like this in their lives, it is something they will need to learn as they grow and develop so no need to fight it. I have a baby cousin and I did not get her a gift for this Christmas. I think this Amazon Kindle Fire HD 10 Kids Edition will make a great and educational one for her. First thing is that it is really great that it comes with a case. So I don’t have to buy a case separately. It has parent control which gives my uncle control over the device. Overall this will be an amazing gift for her. Thank you so much for sharing this post. You have saved me time on choosing the gift for my baby cousin. Thanks! I am glad that you have found something to give to your baby cousin as a gift! I am sure that she will love it! 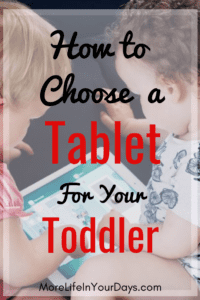 Thank you for your review ¨Best Tablets for Toddlers 2019: How to Choose your Child´s First Tablet¨ It´s very thorough in covering a range of toddler tablets Tablets. I noticed Amazon´s inexpensive Fire line up and Apple latest operating system, iOS 12, with new tools to let you monitor your kids´ tablet use and keep an eye on what applications they are using and for how long. What I would like is your opinion of a different tablet, since my family doesn´t have an iPad or Fire at home, the Android one. Our family is all with Google services, we communicate through Hangouts and my daughter has a G Suite email account that I supervise. I feel that if you primarily use Google cloud services, and Android apps, an Android tablet can get you what you need for a little less money than an iPad, and it´s not locked down to Amazon services the way a Fire is. But what are the pros and cons? Hi! Thanks for your comment. You raise a valid point about sticking with the ‘ecosystem’ of apps that your family is used to. It is a shame that the Amazon tablets are so locked down and restrict access to some really useful google apps (especially as they are actually run on a form of Android OS). The Kindle tablets are great in that they are really built from the ground up and designed to be just for kids, none of the other options is quite so well focused on being for kids, with the great case, the included content and, especially the 2 year no quibble guarantee which is great for toddlers that are probably more likely to brek them than older kids. They are also really cheap toddler tablets! The only real downside is the one that you have highlighted that the apps available are restricted and also more likely to be paid for than with an android tablet. It may be that the Samsung Galaxy Tab E or Dragon Touch K8 might be the best options for your family. 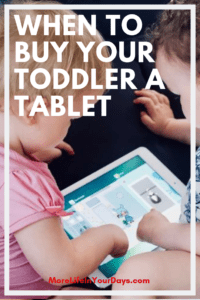 I’m impressed by this post, really I used to ask myself what toddlers need a tablet for but now I can see that there are loads of different benefits to using a tablet at pre-school age. It all seems to improve their ability to learn and assimilate. I’d love to ask what age you think is a good time to get a child their first tablet? Thanks! I don’t think there is a standard answer to your question. The right age to get a toddler a tablet will vary depending on the child and their development and personality (as is does with most toys etc.) I think you will probably be able to gauge when your child is showing an interest in technology but has also developed enough awareness of how to look after things and not throw them around. We bought one for our daughter at age 3 and that seems about right for her. Of course, now her younger sister is wanting to play with it at under 2 so these things do vary! I let my girl have an hour or so a day that she can use to play with her tablet. Unfortunately, her tablet broke not long ago and I was afraid that now she would be crying every day, wanting a new one, but not so. For about three months now, she has never asked to get a new tablet. But I think I will get a new tablet for her soon anyway, one that can help educate through play. Do you think the Kindle Fire’s have educating programs and games? Hi, thanks for your comment! I think having a time limit on tablet use is a really good idea and it is nice to see that your daughter was still happy without a tablet. They are great things to have at certain times (for us mainly when travelling), but it is not great to see young kids glued to the screen all day. You can get plenty of educational games for the Kindle Fire tablets (and in fact all of the ones in this review), the Amazon tablets come with a year’s worth of great kids content included for free and there are plenty of educational choices included. After the first year, you will need to subscribe for a couple of dollars a month or add content yourself from the Amazon app store.